The PaSTIS (Padova Science Technology & Innovation Studies) research unit was set up in 2008 as an attempt to unify and catalyze the research of a number of professors, post-doctoral researchers and PhD students in the social studies fields of science, technology and communication within the Department of Sociology at Padova University (http://www.pastis-research.eu). PaSTIS’s emergence is interesting not only in that it tells the story of a specific STS-focused research unit but also because it offers a glimpse into the path taken by the STS perspective in a country like Italy which was until recently at the periphery of the main European STS geography. It is not far from the truth to say that PaSTIS is today the most important research center expressly devoted to STS research in Italy, although there are also other universities in the country with a STS milieu such as the University of Trento, where the last 6th STS Italia conference was held in late November 2016. Although not exclusively Science & Technology Studies focused – but also interested in other approaches to the study of culture and communication – PaSTIS today encompasses around 15 scholars mostly with a sociology background including full and associate professors, several post-doctoral researchers and a turnover of PhD students and research assistants. During its almost ten years of existence, the research unit has also hosted around ten foreign visiting scholars from Europe, the US and South America. This highlights the fact that PaSTIS is also a place where STS scholars from other countries can spend a period of research finding a collective and stimulating environment: we would be happy to receive further visiting proposals in the near future. The chief topics addressed over the years by PaSTIS with its research and initiatives include a number of areas: the study of public communication in science and technology and analysis of media and public discourses relating to science, technology and the innovation (on this subject see the section on the TIPS project by Giardullo and Lorenzet here); analysis of information infrastructures and media technologies and devices (see the section by Crabu and Mongili); the study of scientific practices and laboratory work, especially in relation to the biomedical domain and the field of nanotechnology; research on media practices, with specific focus on the process of digitalization, the use of social networks, the emergence of new forms of sexuality over the Internet and the processes of consumption of cultural content. A pivotal point bringing together the work of PaSTIS’s members is essentially the idea that social and cultural processes today can be understood by looking at the way scientific processes, technological artefacts and infrastructures innervate contemporary social experience and are thus the core of the reconfiguration of the whole current set of practices, routines, values, meanings, emotions and the overall texture of everyday social organization. However, more interesting than a plain description of PaSTIS’s activities is an examination of the distinctive conditions of the research unit’s development which has not been a top-down process sustained by ministerial or university inputs. Rather, the emergence of PaSTIS was actually a bottom-up process, a sort of alchemic blend, the contingent product of a work of ‘heterogeneous engineering’ which was the response to a situation, the Italian university system, in which research units are not official entities and – especially in the social sciences and humanities fields – still quite few and far between. Many university departments across the country have no research units whatsoever and still prioritise the idea of self-sufficient independent scholars working on their own specific academic interests. At the same time, the experience has been that the setting up of research units has been seen by many as an institutional innovation stirring up traditional power assets and localist logics. This is a distinctive feature of the Italian academic system as compared to other countries and it speaks volumes about the fact that doing STS today (and by extension, social studies as a whole) requires diverse efforts, tools and strategies in diverse countries in order to produce a fruitful alignment of research, theory and local institutional frameworks. The institutional rigidities and weaknesses of the Italian academic system (one which has, over the last decade, also experienced a shortage of new tenure-track positions, a lack of internal mobility, a massive diaspora of Italian scholars and, therefore, has one of the highest average age of professors – in 2013 the average age of assistant professors was 46!) was for us the stimulus to adapt, re-invent and localize the idea of ‘research unit’ seeing it as a crucial strategy in the search to develop new opportunities to deal with the troubles typical of our national academic system. 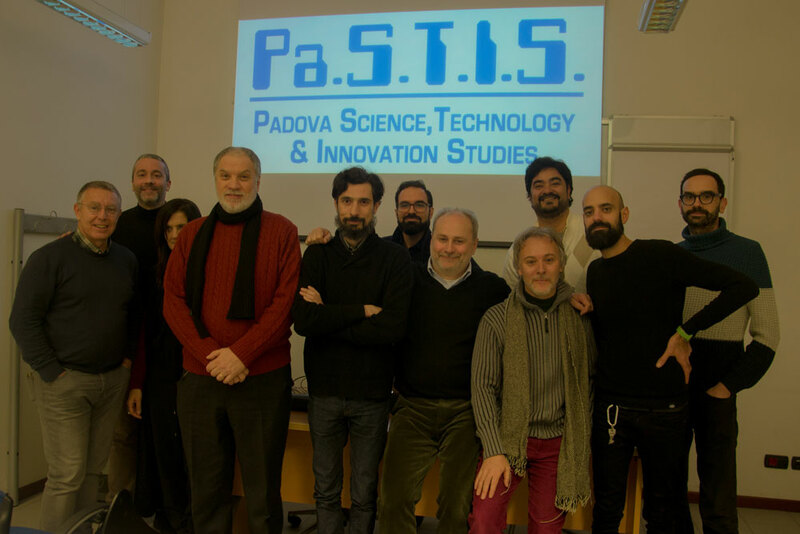 One of the positive circumstances that helped to develop and sustain PaSTIS has been the growing of a wider STS movement in Italy, making our local unit an intersection in a wider process of ‘co-evolution’ involving an entire national academic community. On one hand, our research unit has clearly been sustained by the broader Italy-wide STS movement which was given institutional form as a national STS society, STS Italia, in 2005 and also sponsored the creation of the ‘Tecnoscienza: Italian Journal of Science & Technology Studies’ journal in 2010. Whilst even before the mid-2000s in Italy there were at least a few scholars linked to STS these were just individuals with no chance of giving a collective dimension to their work and thus having a stronger impact on the study of science and technology in the country. There are many accounts of the way PaSTIS co-evolved within the broader national STS community and, at the same time, also became one of the drivers of STS development in Italy: for example, in 2012, PaSTIS co-organized the 4th STS Italia Conference in Rovigo on ‘Emerging technologies” and in 2015 the 3th STS Italia Summer School on ‘Biomedical research’. Several STS Italia workshops have been hosted in Padua: focusing on creativity in 2009, on interdisciplinarity in 2013 and on biomedicine in 2014. A number of PaSTIS scholars played a crucial role in establishing and editing the Tecnoscienza journal and energised efforts to build up the main STS Italia initiatives organized elsewhere in Italy. Hence, if PaSTIS has been an instrumental device in the process of STS community infrastructuring in Italy, our research unit is, at the same time, an emerging outcome of the broader establishment of a STS community in Italy, thus confirming once again that science, like culture and art, is a truly collective activity which involves not only, in our case, PaSTIS’s current members, but also a wider group of people as well as artefacts and infrastructures. PaSTIS, STS Italia and Tecnoscienza can thus all be understood as a creative – and to some degree ‘resisting’ – reaction to the limits, rigidities and constraints of our national academic system whose scholars need to open up their work to an increasingly integrated, competitive and fast-developing global scientific community. 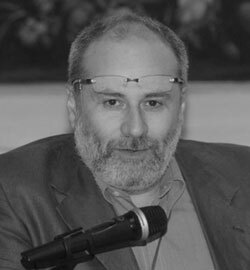 Federico Neresini is Full Professor of Sociology at the University of Padova and coordinator of the PaSTIS research unit. His main research interests deal with the construction of scientific knowledge, the public communication of science and its social representations. Recently he also addressed the relationship between big-data and scientific research activities, as well as the implications for the social sciences of the availability of large amounts of data through the web. For the years 2016-18 he has been elected as President of STS Italia. 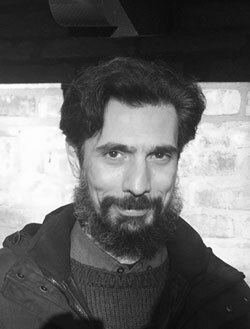 Paolo Magaudda is Senior Post-doc researcher at PaSTIS, where he does research about the relationship between media, technology and society. He authored many articles and several books and is currently completing (with G. Balbi) the volume History of Digital Media expected to be published in 2017 for Routledge. Founder and co-editor of “Tecnoscienza”, since 2013 he is also part of the board of STS Italia.